From practical fundamental concreting to elaborately designed home extensions, our masonry services fit the job. ​Working with the integration of natural elements such as rock, water, and fire creates beautiful transitional spaces that blur the lines between indoors and out. Masonry can add texture and dimension, converting backyards into decorative extensions of your home. Whether you are in need of repairs or developing an outdoor space for your home, we can assist you from design to execution. Our solutions include designing and creating a new landscape, or updating and maintaining the health of an existing one. ​Our plan starts with an evaluation of your property for overall condition. 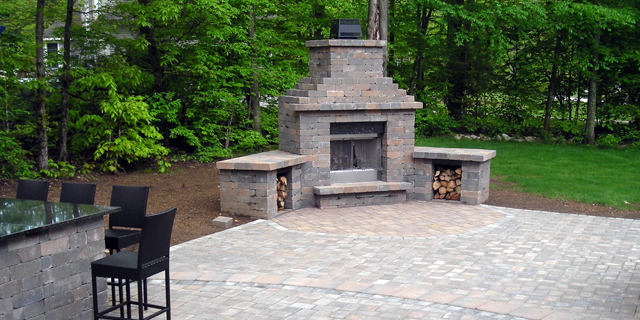 From there we design a customized plan to give your outdoors exactly the care or improvement it needs. We also provide ongoing landscape servicing, including grooming and pesticides.